In October, our theme for the Rotational Model was Living God’s Word: Respect. We learned about respecting God, which in turn means respecting ourselves, respecting others and respecting God’s world. In keeping with our theme, we’ve decided to start recycling the Capri Sun drink pouches the children enjoy each Sunday during their fellowship time. We will then be donating them to Biglerville Elementary School; after the school donates 500 juice pouches they will earn $.02 per pouch. 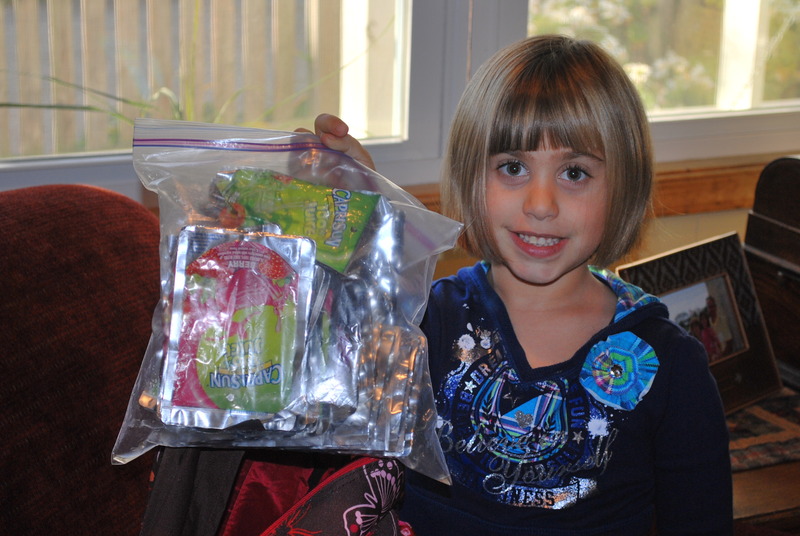 Our first donation was 60 drink pouches and we plan to continue saving them each week. If you’d like to learn more about this project,log on to www.terracycle.net.